Met and assisted at arrival and departures by Memphis Tours Representative. 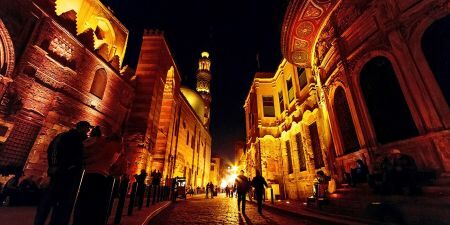 Upon your arrival at Cairo International Airport, you will be met by your Memphis Tours Representative who will accompany you to your hotel in Cairo for check-in and a free welcome drink. 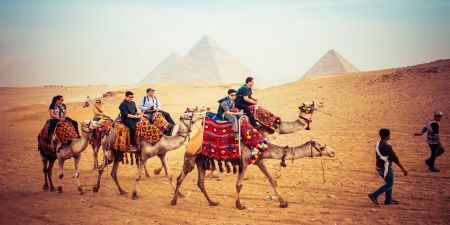 There you will be introduced to your Tour Manager for the trip, who will explain what to expect on your visit and will be your point of contact throughout your Cairo and Dahabiya Nile Cruise tour. He and will give you details of how to contact him at any time whilst in Egypt under the care of Memphis Tours. Throughout your Agatha Christie Tour Egypt, in addition to the Tour Manager you will meet a variety of English-speaking Tour Guides, who have been chosen for their expertise on each of the areas you are visiting. After check-in you are free to spend the rest of the day/evening at your leisure. There is a wonderful opportunity to do an optional excursion to the Sound & Light Show on Giza Plateau, by the magnificent Pyramids. Pick you up from your hotel in Cairo by air-conditioned mini bus where you will be accompanied by your personal Egyptologist Tour Guide to visit the famous Giza Plateau, home of Egypt’s greatest attractions the Great Pyramids, one of the Seven Wonders of the Ancient World including the Great Pyramid of Cheops, Middle Pyramids of Chephren smallest Pyramid of Mykerinos and the Mysterious Sphinx, the Father of Terror to the ancient Pharaohs.The tour includes visit to the Valley Temple facing the great Sphinx. On the way you will have Lunch, then enjoy a visit to the world-renowned Museum of Egyptian Antiques built in neo-classical style designed by the French architect Marcel Dourgnon which exhibits a collection now of over 120000 masterpieces ranging from Pre-Dynastic era, Pharaonic era to the Greco-Roman period in Egypt, learn and discover the great Egyptian civilization and art of mummification in ancient Egypt. Moving on to visit the Christian heritage in Coptic Cairo including some of the early religious monuments of the city such as the Hanging Church or the Suspended Church, this Basilica Church was named for its location on top of the south gate of the Fortress of Babylon The Church became the centre of the Christian Church of Egypt Afterwards an enjoyable afternoon of shopping at the famous Khan El Khalili Bazaar and Old Market in Cairo. Finally back to the Hotel in Cairo for a relaxing evening. Breakfast at your hotel in Cairo and then you will be transferred to Cairo Airport to fly to Aswan where you will be met by Memphis Tours Representative. Then You will begin by visiting the Aswan High Dam, built in the 1960’s to provide the much needed electricity and irrigation for Egypt. Nubia, the area that was flooded, experienced the biggest and most thorough archaeological excavations that Egypt has known. Then we go to see the ‘Unfinished Obelisk’ which still lies in the granite quarries which provided ancient Egypt with building materials. It would have been the largest piece of stone ever handled but when a crack was discovered it was abandoned where it was being hewn. Cross by boat to Angilika Island, to see Philae Temple, one of the Nubian Temples rescued before the High Dam was built. 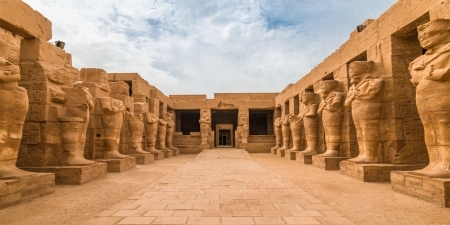 Enjoy Philae’s long colonnades, towers and reliefs which include the last surviving hieroglyphic and demotic inscriptions in Egypt. Later on, you will be transferred to your hotel to check into your room. Overnight in Aswan. 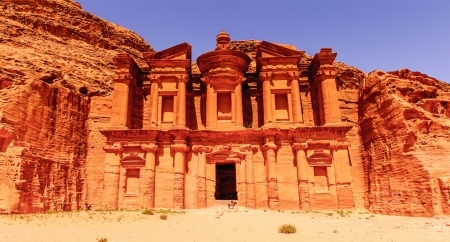 At 12:00 AM you will be picked up for your transfer to Abu Simbel to enjoy the amazing Sun Festival. Witness the extraordinary Sun Festival at Abu Simbel. watch the light slowly crawl through the internal Hypostyle Hall and through to the Sanctuary. The sun lightens statues of Amun Re, Re Herakhte and Ramses the god, whilst the statue of Ptah the god of darkness, remains in shadows. 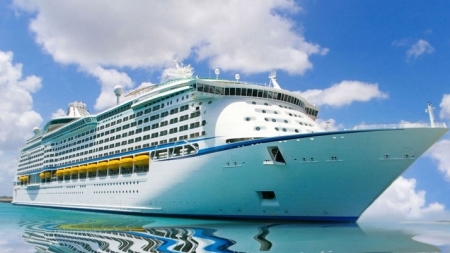 Transfer back to Aswan to board your Nile Cruise. After enjoying breakfast onboard your Nile cruise ship in Aswan you sail to see Kom Ombo Temple . Of all the ancient temples in Egypt, this is the only one which is divided into two, to reflect that it is dedicated to two Gods: Sobek, the Crocodile God of fertility; and the falcon-headed Horus, God of the sky. Kom Ombo is also famous for the depictions of surgeon's instruments, giving us an early record of medicine and surgery in Ancient Egypt. In the afternoon, sailing down the Nile to visit the huge Ptolemaic Temple of Horus at Edfu, which is the most complete and best preserved of the Egyptian Temples, consisting of many columns, halls, chambers and chapels. Two statues of Horus flank the twin towered entrance gate; and inside, one of the interesting inscriptions lists the titles of books (scrolls) held in the library. 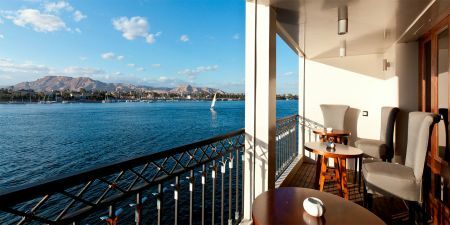 Back to your Nile cruise for dinner, afternoon tea is served on the sundeck with dinner and overnight stay onboard the Nile cruise. Breakfast onboard the Nile Cruise then you will be taken to the West Bank of the River Nile to visit the two colossal statues of Amenhotep III (Colossi of Memnon), and then visit the Valley of the Kings, where many magnificent tombs were discovered, These tombs were carved deep into the desert rock, richly decorated and filled with treasures for the afterlife of the Pharaohs and here you will visit 3 tombs. Continue your tour to visit Hatshepsut’s Temple at El Deir El Bahary, this impressive Temple is dedicated to the Queen Hatshepsut the only female Pharaoh rises out of the desert plain in a series of terraces and merges with the sheer limestone cliffs that surround it. After breakfast, you will be picked up by our Representative who will transfer you to Luxor Airport for the flight to Cairo where you will be taken to your hotel. Overnight in Cairo. Breakfast at your hotel in Cairo with free time at leisure and then transfer to Cairo International Airport to fly back home. Prices - Prices per person are quoted in Sterling but can also be paid in US$ or Euros by credit or debit card via a secure credit card payment system. Any additional bank charges on bookings will be covered by Memphis Tours. Above prices valid only during the selected dates above.